This week we saw an eclipse. The moon blocked the sun, totally or partially depending where you were. We've been warned that it’s dangerous to look at it but we all want to see it! So we don special glasses in order to watch. Every one of us has a shining soul within. It is brilliant and bright. It is overwhelmingly powerful. But we don’t or can’t always see it. So we must don special glasses to allow us to see the light we each share with the world. These glasses are the glasses of depth and meaning and the knowledge that every person was created by g-d with a unique contribution to make. 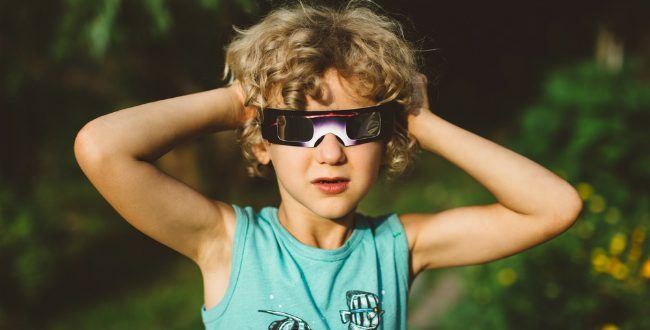 When we put on these glasses, we are able to see the special and beautiful light in another. Another who might seemingly be living a life where this light is concealed, A life where we only see darkness at the moment. with these glasses you can look up at them and you will see their light. With these glasses, you can see through the blockage and concealment and see how special and overwhelmingly bright they really are. Learn to look wisely at individuals with special needs. Seeing their challenges as darkness, partially or even totally is a mistake. Put on the glasses and look deeper you will be amazed by the bright light that you will find in them.